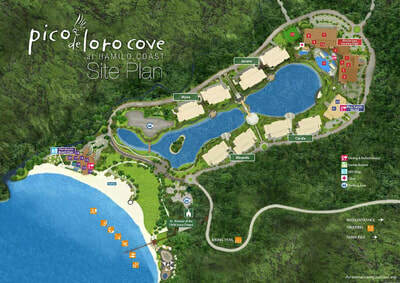 Pico de Loro Cove is the maiden community of Hamilo Coast. It highlights the Lagoon Property Series which is composed of eight mid-rise residential buildings set around a tranquil lagoon. Pico de Loro Cove Beach Homes was designed to make the pleasures of owning a beach house as effortless and expedient as condominium living. The center piece of Pico de Loro cove is its stretch of 1.5 kilometer fine white sand beach with Mt. Pico de Loro in the background. 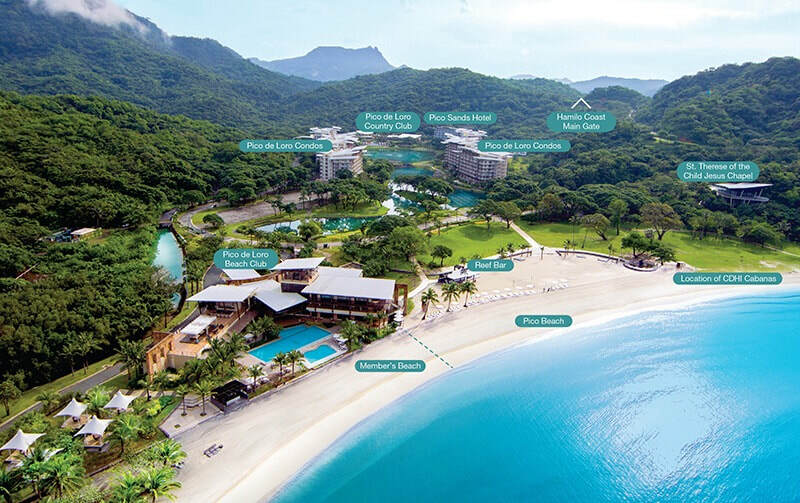 Perfect for the entire family with its clear, calm, and shallow waters. It is home to the first community to rise in Hamilo Coast. 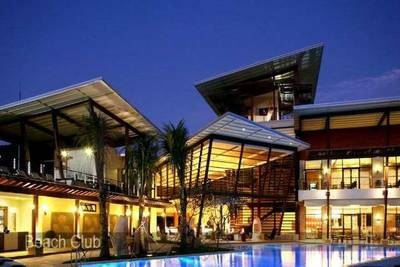 Hamilo Coast is located in the municipality of Nasugbu, a scenic coastal town in the province of Batangas, home to some of the most beautiful beaches and dive sites in the Philippines. Travel time to Hamilo Coast from Metro Manila has been reduced to only 90 minutes by car with the recent completion of the Ternate-Nasugbu Road. The growth of local plants and animals is nurtured through initiatives such as clam-seeding, mangrove-reforestation, the release of sea turtle hatchlings, and regular coastal clean-up activities. 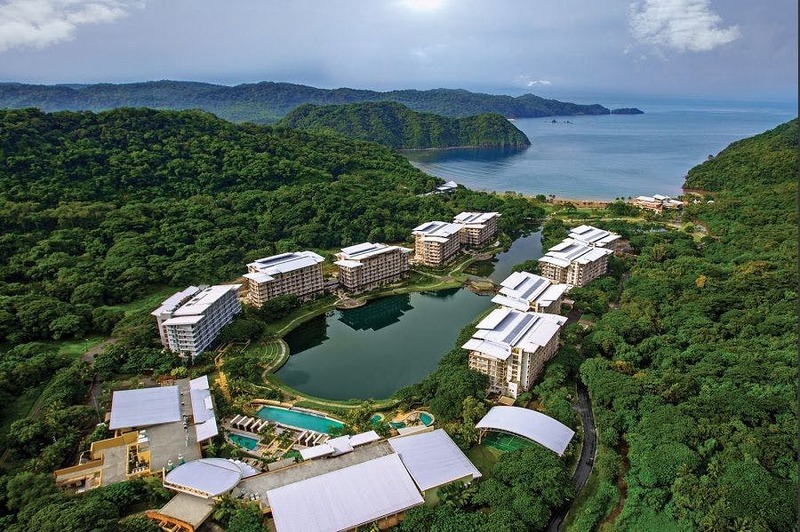 WWF monitors Hamilo Coast’s energy-use and recommends initiatives to continuously enhance energy efficiency. Alternative sources of energy have been used to power some of Hamilo Coast’s facilities, such as its street lights, which run on solar power. WWF monitors and evaluates the waste management activities of Hamilo Coast’s employees and residents in order to create the conditions necessary for the community to be compliant with the waste-management standards of global eco-tourism certification bodies. To increase the biological capacity of fisheries and establish sustainable local food sources, WWF conducts an inventory of the flora and fauna at Hamilo Coast’s Pico de Loro cove, and performs year-round fish-catch monitoring. WWF also monitors the three Marine Protected Areas (MPAs) of Hamilo Coast and conducts oceanography and hydrology studies in all thirteen coves. In recognition of its conservation efforts, Hamilo Coast received WWF-Philippines’ Environmental Leadership Award in 2013 and was given the Bronze Benchmarked Status by EarthCheck (formerly GreenGlobe 21) in 2015.